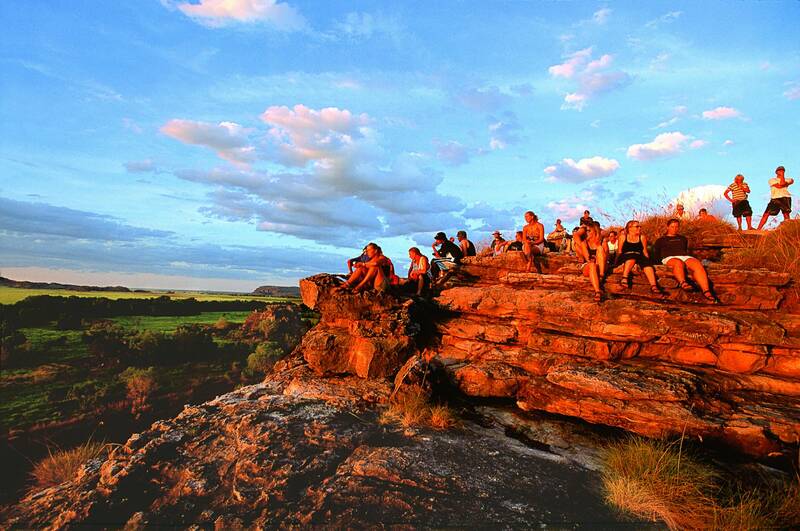 The 4 Day 4WD Arnhem Land Dreaming tour is perfect for those seeking an Indigenous experience. Explore Kakadu and Litchfield National Parks by small group 4 x 4, get up close and personal to a crocodile on a boat cruise, visit the jewels of Kakadu, Twin & Jim Jim Falls and spend a day in remote Arnhem Land where you will see Ancient Rock art with an Indigenous guide and spend your nights in private campsites, cooking over the campfire and marvelling at the clear Southern skies where stars are plenty. Professional guide, travel in an air-conditioned 4WD vehicle, all meals (as listed on itineraries), camping equipment and fees including permanent tent with beds and mattress. All linen including pillow and pillowcase,fitted sheet, sleeping bag, towel and drinking water (please provide your own bottle). You will be collected from your Darwin accommodation at approximately 7.00 am and begin your 4 Day 4WD Arnhem Land Dreaming tour at Litchfield National Park. Explore the waterfalls, spring-fed streams and rugged sandstone escarpments of Litchfield. Discover intriguing cathedral and magnetic termite mounds and swim, hike and explore Florence and Wangi Falls* and enjoy a picnic lunch. Awake for breakfast this morning before joining an iconic Yellow Water Cruise. A must do activity within Kakadu National Park, the award winning Yellow Water Cruise is Aboriginal owned and centres around a spectacular billabong system that is home to some remarkable and diverse wildlife. Spotting crocodiles is only one of the many wildlife viewing opportunities on theis unique water system. 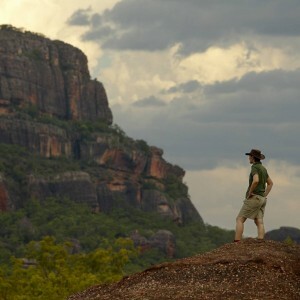 Today the jewels of Kakadu National Park await. Departing early we travel to Twin and Jim Jim Falls*. Explore Twin Falls Gorge which is accessed by 4-wheel drive track, a boat shuttle service and a rocky walking track and boardwalk. Once there relax on the sandy banks and admire the falls. There’s more 4-wheel driving as we make our way to Jim Jim Falls where a walk through monsoon forest and over boulders takes us to the waterfall and plunge pool which are surrounded by 150 metre cliffs. Today, a once in a lifetime experience awaits. Travelling into remote Western Arnhem Land you will witness Ancient Aboriginal Art brought to life by your indigenous guide at Injalak Hill. 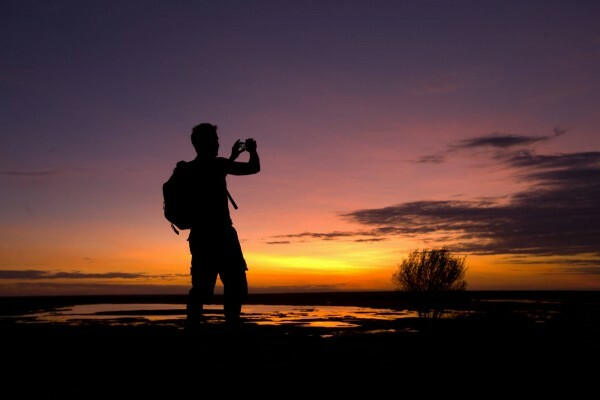 Take in the amazing views across the escarpment before travelling to the Injalak Art Centre where you say goodbye to your Indigenous guide and hello to some amazing art on offer or simply watch the indigenous artists at work. 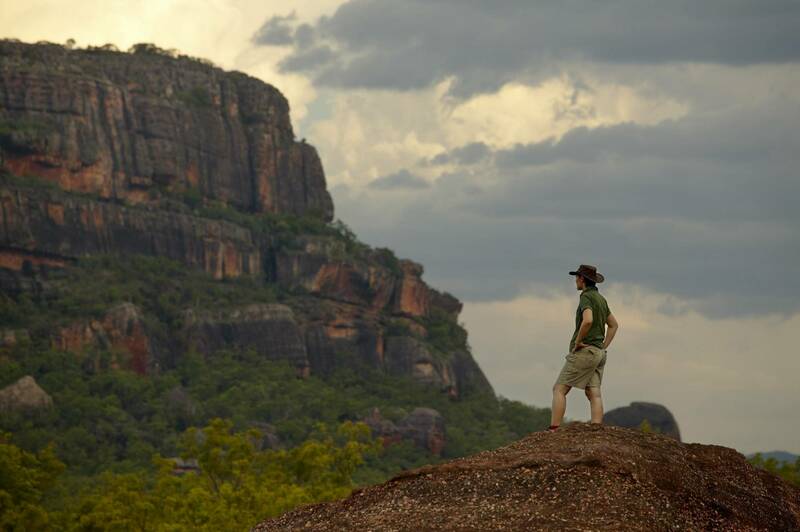 Travel back into Kakadu National Park before returning to cosmopolitan Darwin and tales of the days adventures whilst reflecting on the profound effect t his magical place has on people. 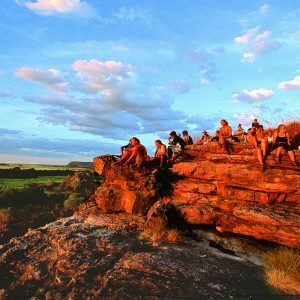 The 4 Day 4WD Arnhem Land Dreaming Tour itinerary may change due to cultural reasons, seasonal changes, operational logistics and accessibility. This is a Kakadu Family friendly tour, although it is not suitable for children under 5 years of age. Twin Falls boat shuttle is an additional $12.50 per person payable on day of departure (cash only). Please call 48 hours prior to departure to reconfirm your pick-up location and time. Due to limited space on the vehicle please restrict luggage to one day pack and one soft overnight bag/backpack (maximum 10kg). Excess luggage should be stored at your Darwin accommodation. Torch/ flashlight, wide brimmed hat, sunscreen, insect repellent, water bottle (1.5 litres), walking shoes/boots, sleeping bag (if you prefer to use your own),toiletries, swim wear, towel, camera, comfortable and casual clothing for 4 days.